Hello Yelp elite gold badge 2017! This 2017 is off to a golden start! I’m so happy and honored to once again be part of the Yelp Elite squad. Yelp has played a special part in my love for writing and doing food reviews. I can’t believe it’s been 9 Elite years. It has definitely been an awesome nine years and I’m looking forward to many more as my Yelp journey continues. This 2017 is actually a very special year for my Yelp journey because this year I will reach 1000 reviews. This year also marks what I call my “road to black.” If I am lucky and privileged to be elite again next year, it will be ten years of elite and I will be getting the black badge! 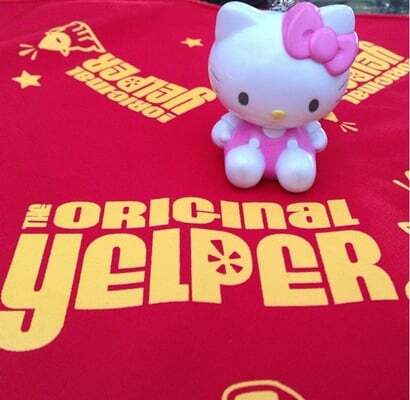 As I move forward to another year of reviews, Yelp events and happiness, I’d like to invite all my blog readers to join me in my journey to 1000 reviews and to the black badge 😉 @ http://hellokittyfoodie.yelp.com. Thanks every one for your support and love! This year will be golden and amazing for sure. Hello Mastro’s Steakhouse Beverly Hills!